Montgomery County Office of Homeland Security and Emergency Management continues to monitor weather conditions. 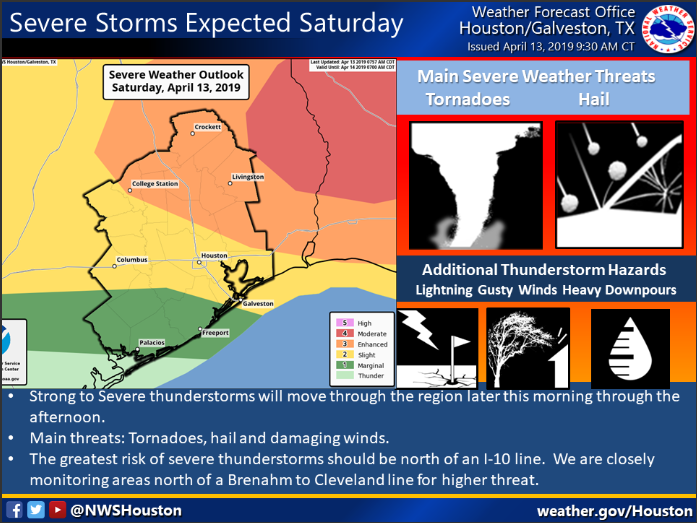 A strong storm system west of the area should move northeast, this will increase the threat of severe weather across our area from 11AM to 5PM today. Isolated tornadoes, damaging winds, large hail, and frequent lightning will be possible. Localized flooding also possible with heavy downpours. Severe weather watches have been posted west and north of the area, so watches could be issued for our area this afternoon. Stay weather aware, heed National Weather Service warnings, and if you see lightning take cover.